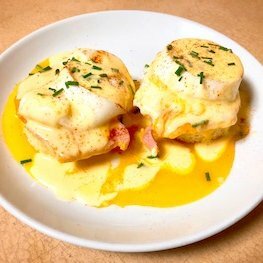 Thinking about whipping up a batch of eggs Benedict? You'll need a good Hollandaise sauce recipe to go with it. 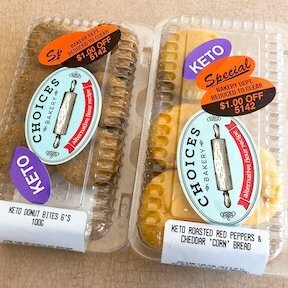 Hollandaise sauce is inherently keto, so you're pretty much set with this as a sauce. 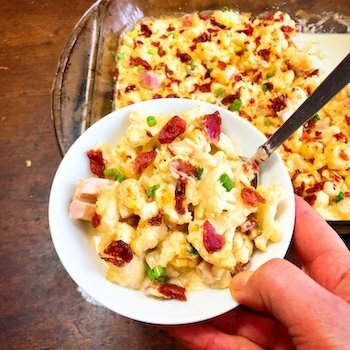 It goes great with a lot of low-carb veggies like asparagus, spinach, brussel sprouts and mushrooms. It also pairs well with seafoods like salmon, crab, shrimp, lobster and scallops. 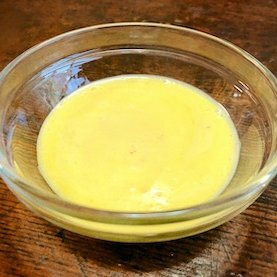 In the container of a blender, combine the egg yolks, mustard, lemon juice and cayenne. Cover, and blend for about 5 seconds. Add butter in a glass measuring cup. 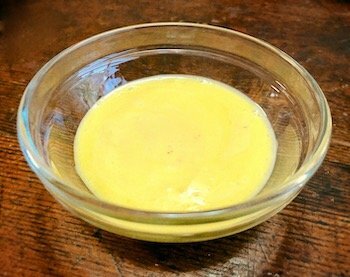 Heat butter in the microwave for about 1 minute, or until completely melted and hot. Set the blender on high speed, and pour the butter into the egg yolk mixture in a thin stream. It should thicken almost immediately. Add salt to taste and pour into a measuring cup with a pouring spout. Keep the sauce warm until serving by putting the measuring cup in a pan of hot tap water.